When it comes to good brands of aluminium windows, Origin’s OW-80 Premium flush casement has been an excellent seller. There is now a new window, the Origin OW-70 Slimline. 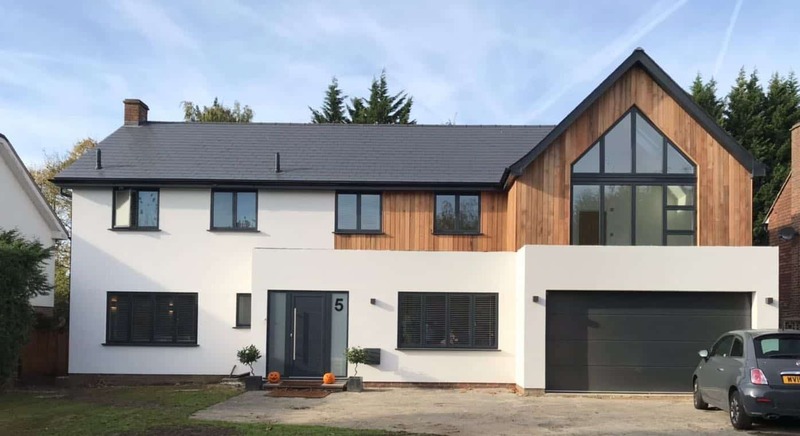 In this Origin aluminium windows review, we take a look at both types of windows, explain their features and how you can use them. Origin aluminium windows review. What are Origin windows? First of all, it is important to know the background of Origin aluminium windows. The vast majority of other aluminium windows come from the Systems company, supplied as bars of aluminium and accessories. These window components go to several manufacturers all over the UK. Only Origin makes their range of aluminium windows and nobody else. Origin supplies their ready-made products to a nationwide network of approved Origin installers. Therefore, when buying an Origin window you benefit from only one supplier with the obvious reassurance of a consistent quality and manufacturing processes. Origin aluminium windows also form part of the complete Origin Home range of products. If you care about having one brand of windows and doors, the Origin Home range now comprises, windows, bifolding doors, front doors, entrance doors, French Doors, sliding doors and even garage doors. Features and Benefits of Origin aluminium windows. Premium quality insulated aluminium extrusions. Top-of-the-line paint quality in a big choice of colours. Made-to-order aluminium windows from one of the best UK brands. When buying any Origin product, homeowners get the peace of mind of one brand in their home, from a leading UK brand. Best of all there is the same guarantee applicable to virtually every product Origin makes. Finally, it is worth mentioning that Origin Dealers are extensively trained by Origin ensuring a professional installation. Origin OW-80 Premium and Origin OW-70 Slimline Windows. What is the difference? In this Origin aluminium windows review, we compare the OW-80 Premium and the new OW-70 Slimline window. Your buying decision with these two windows comes down to aesthetics. It is how these windows look and some of the extras available that help you decide which is the better Origin window for your home. The existing Origin OW-80 Premium comes with a flush casement detail on the inside and the outside. This flush look creates not only a very modern looking window but also a traditional looking one as well. As a result, you get a window that looks symmetrical, elegant and sits neatly in-line with the frame. Importantly, no other aluminium window brand offers the twin flush casement arrangement found in the Origin OW-80 Premium aluminium window. Consequently, there is no reason why you cannot use the Origin OW-80 Premium window in a new modern extension, to replace old upvc windows and even to replace old wood windows. In our view, the OW-80 Premium is ideal as a modern window. The new Origin OW-70 Slimline Window. The new Origin OW-70 Slimline Window offers a much slimmer alternative to the OW-80. Therefore this makes OW-70 ideal as a cheaper window, with less complexity and of course, thinner sight lines. It is important to bear in mind that the Origin OW-70 Slimline comes with a choice of standard and extended outer frame. The standard and slimmer outer frame will be fine for newly built openings. However, for replacement window projects it is quite likely you will need the extended leg frame. The slimline frame is 65mm when used with an opening light and 85mm on the extended leg version. Oddly with the OW-70 version, Origin does not offer a bay or gable window version. The omission of a bay window we imagine is down to no bay poles and couplers designed for the system. The absence of gable windows is a strange omission. We see no reason with a crimped aluminium window (mechanical corners) why a gable is excluded. Aluminium windows with good window energy ratings. Origin windows are not unique in their thermal performance. In fact they meet similar U-Values to other brands on the market. All windows feature insulated aluminium sections, with a thermal break. The overall U-Value you get depends on the glass specification. Therefore, bear in mind that many of the publicised figures are ‘best case’ scenarios with triple glazing or high specification glazing. Toughened glass in doors and low-level glazing. The Origin OW-80 comes with the Aerogel upgrade that fills the internal window chambers with an insulating material. Aerogel boosts the energy saving performance of the window even more. However, it is not available with the new slimline window. Our Origin aluminium windows review explains the uses for these windows. The convenient front to back frame dimensions makes either Origin window suitable for virtually all kinds of new or renovation projects. Don’t forget Origin windows as fixed glazing create impressive floor-to-ceiling glazing. Many also use the Origin window already as a gable, apex or fixed panel above bifolding or sliding doors. able windows above bifolding doors. Our at-a-glance guide summarises the key features of both types of Origin aluminium windows. How to buy Origin Aluminium Windows. As we say, the stand-out difference in the new OW-70 Slimline Window is the thinner sight lines. If you want a thicker, yet individual-looking window with bigger spans, choose the OW-80. For gable windows and bays this is your only option as well. OW-80 meets the need for timber-look windows, triple glazing and where you want bigger window sizes. Don’t forget the aerogel upgrade provides enhanced thermal performance as well. The Origin OW-70 we think will be the better seller. Most window installations do not call for a complex window. Many customers focus the best of their home improvement budget on the doors rather than the window. The new Origin OW-70 Slimline window offers an elegant looking thin window suitable for most applications. In our view, most people replacing old windows will have to go with the extended leg version. This aside, you get one of the best brands in the UK along with an impressive 20-year guarantee. This thin window could also be good to replace old steel windows as well. Origin understandably kept many of the good features of the OW-80 away from the new window. There is no Yale Encloser Lock, no woodgrain finish and no bay or gable options. There are also less standard stock colours available on a fast lead time. Contact us for more information and where to buy Origin aluminium windows.